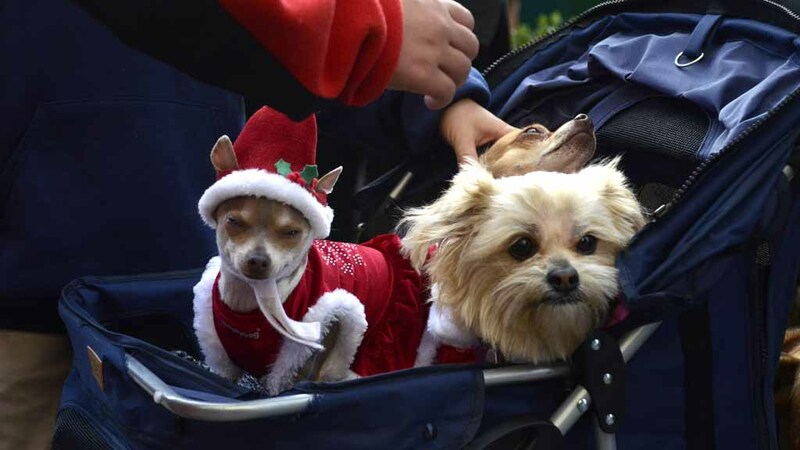 Dressed in their holiday best, San Diego canines escorted their owners on an afternoon walk Sunday through downtown streets, while admirers snapped photos in the seventh annual Gaslamp Holiday Pet Parade. 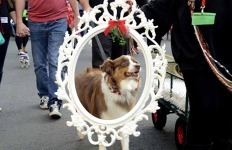 About 250 costumed doggy entrants walked, sniffed and greeted spectators lining Fourth and Fifth Avenues downtown. 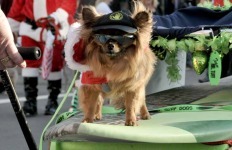 Other pets were transported on wagons, surf boards, strollers. 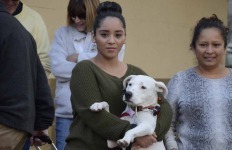 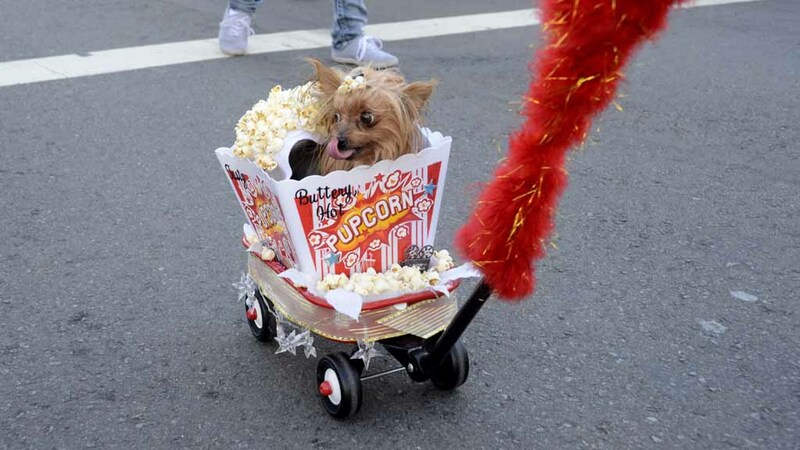 While most dogs were on their best behavior, they engaged in some barking with canine spectators and gave the cleanup crew that followed something to do. 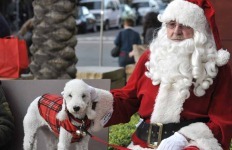 The event started with a pet expo featuring pet products at the Hilton Gaslamp Park. 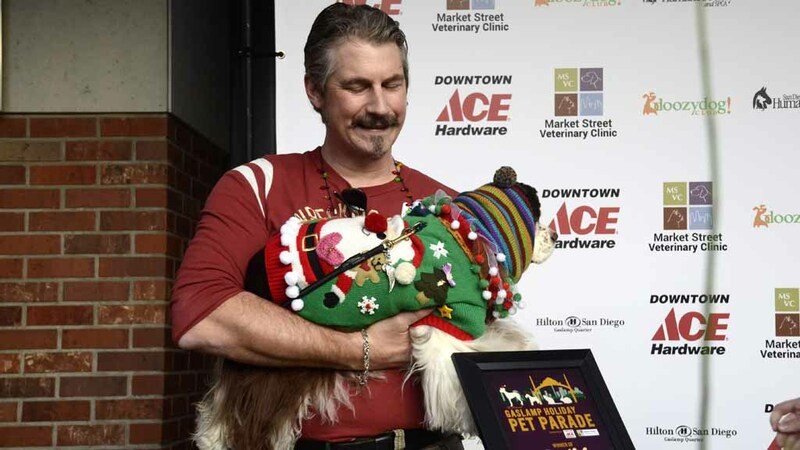 The parade, presented by Downtown Ace Hardware and Market Street Veterinary Clinic, began at Fifth Avenue at L Street, and ended at Fourth Avenue and K Street. 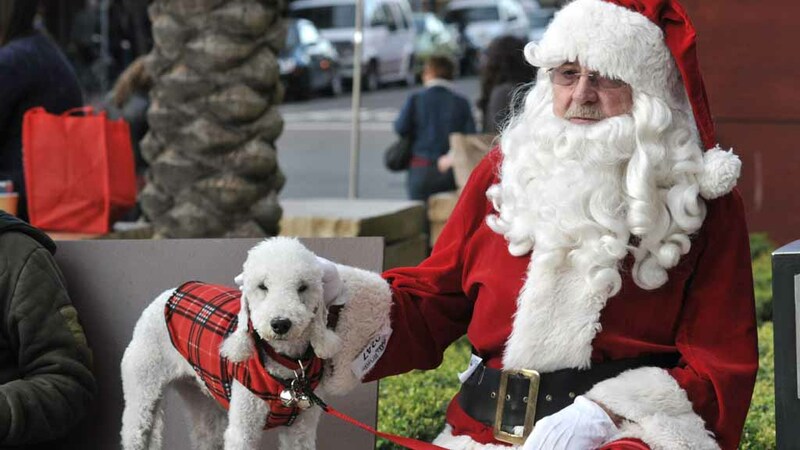 Awards, presented by the San Diego Humane Society and Doozydog, were given in categories including Best of Show, Best Ugly Holiday Sweater, Cutest Critter, Best Pet Costume, and Best Costume Made out of Duct Tape. 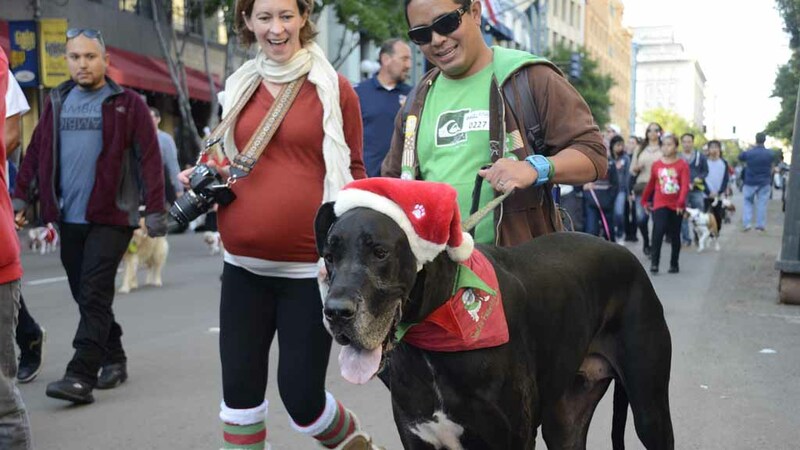 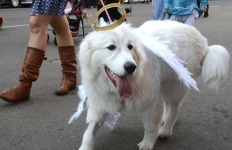 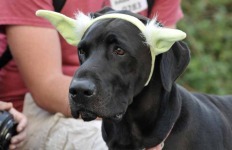 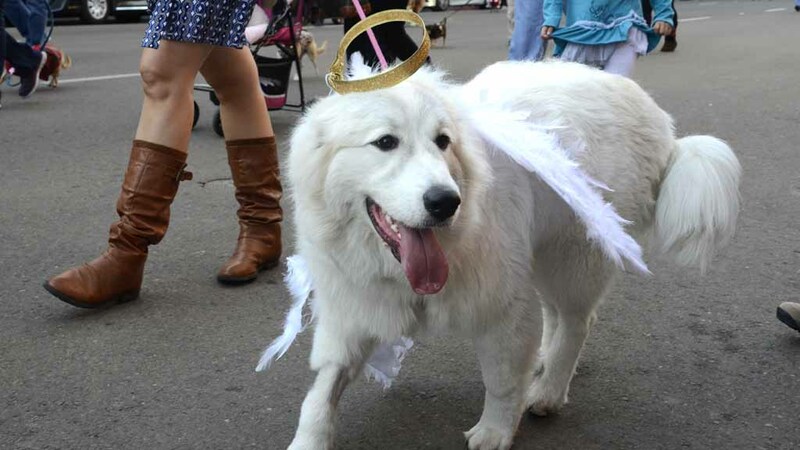 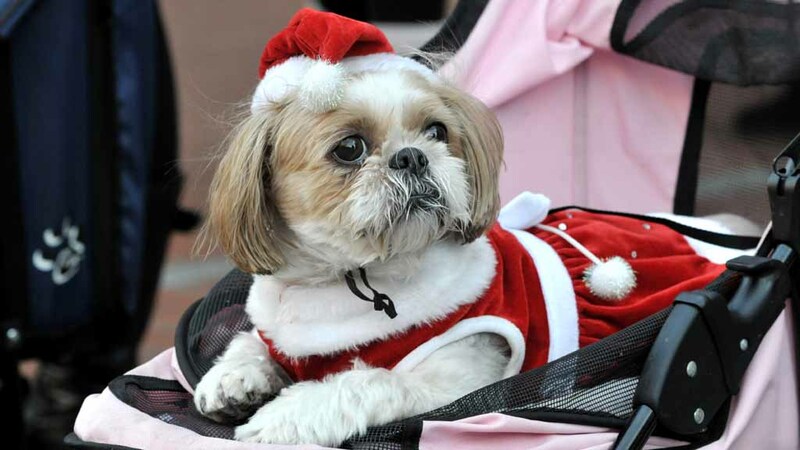 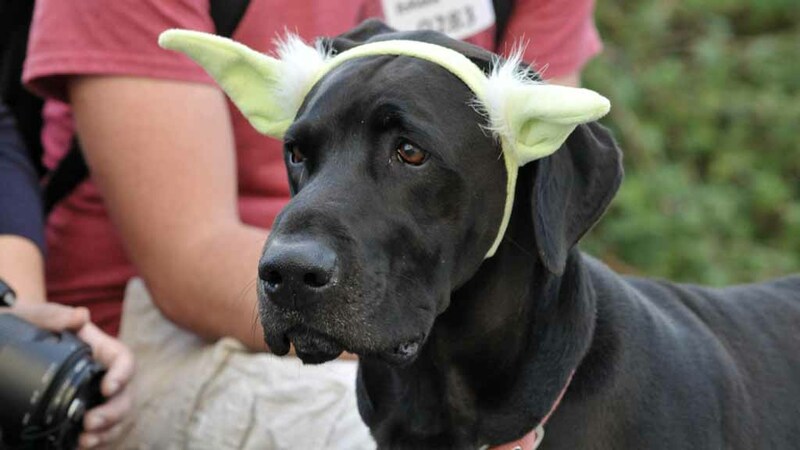 About 250 doggy entrants and their owners took part in the 7th annual Gaslamp Pet Parade. 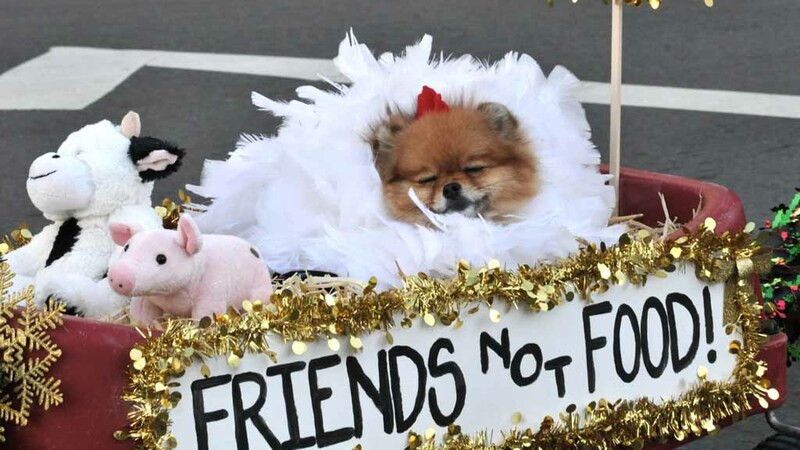 This doggy with his vegetarian message won for best pet costume. 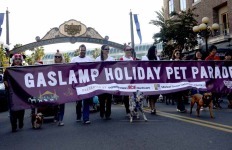 From the The 7th annual Gaslamp Pet Parade. 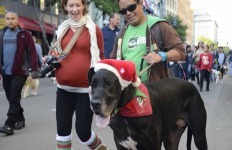 The 7th annual Gaslamp Pet Parade strolled up and down Fourth and Fifth Avenues downtown. 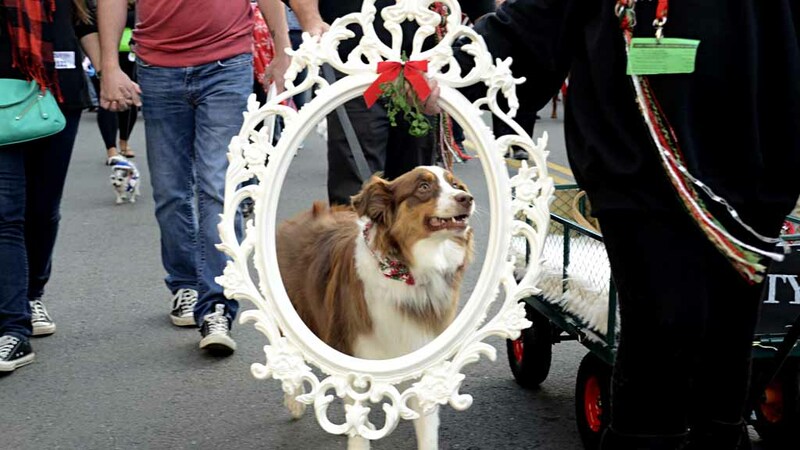 This kissing entry with mistletoe won for Best Costume, Duo. 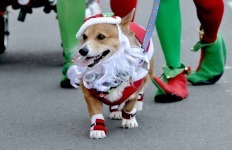 Not all dogs had holiday headwear. 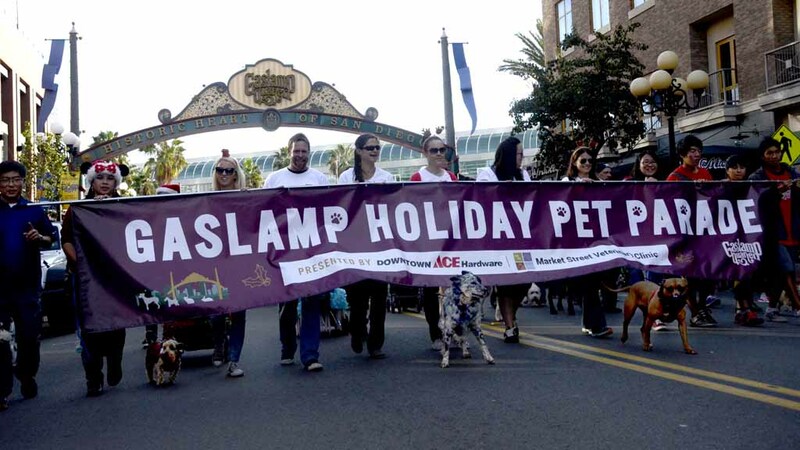 The 7th annual Gaslamp Pet Parade. 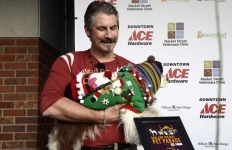 This dog won for Best Ugly Holiday Sweater. 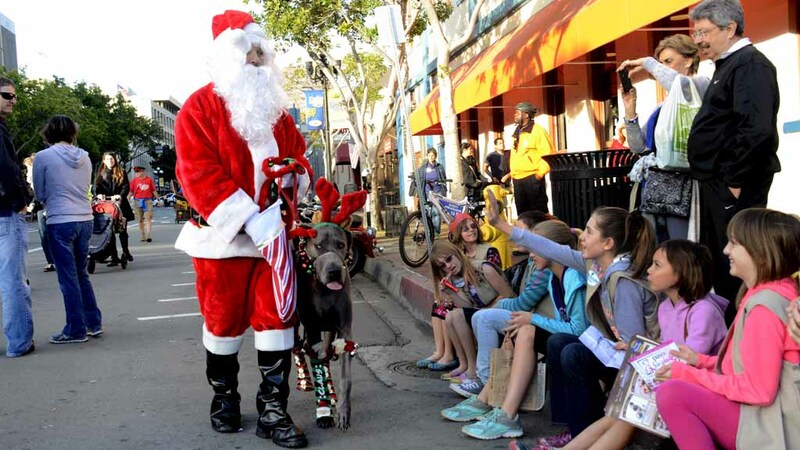 A Santa and his Great Dane reindeer gave out candy to young spectators. 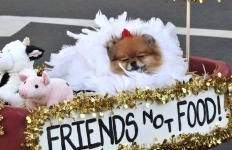 The parade included all creatures large and small. 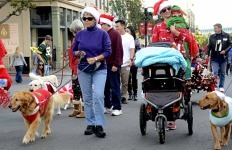 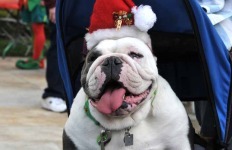 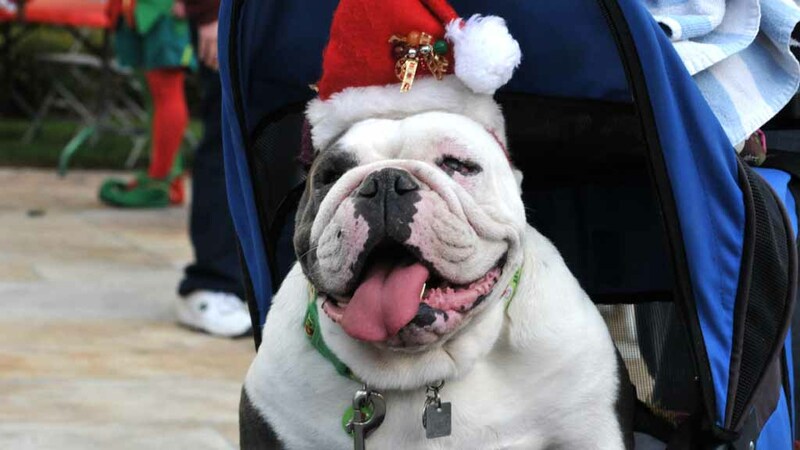 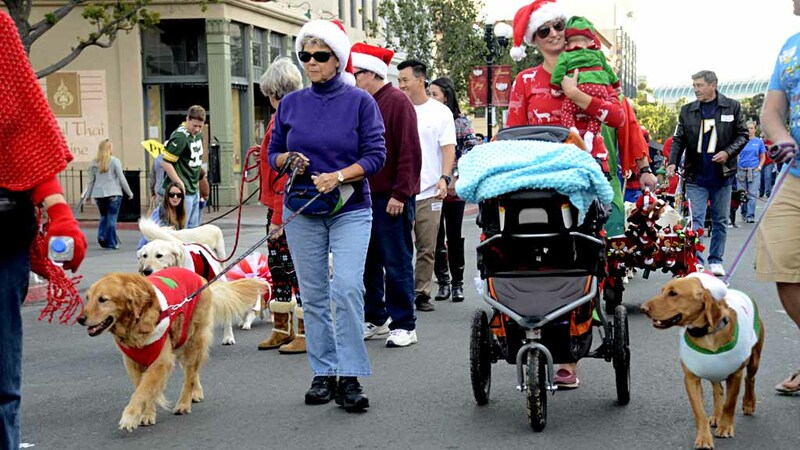 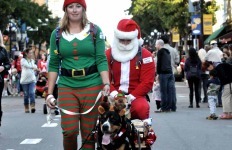 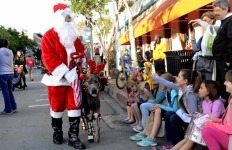 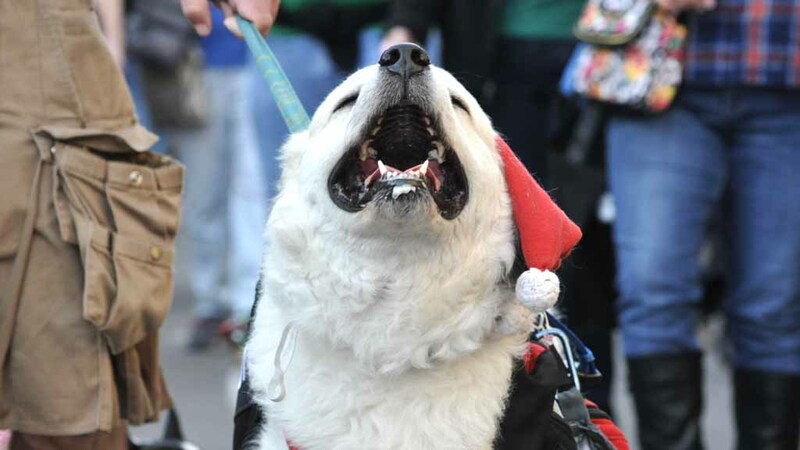 Holiday cheer was on parade at the Gaslamp Pet Parade. 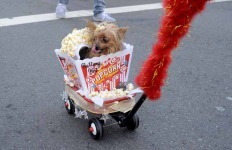 This diminutive entrant won for Cutest Critter. 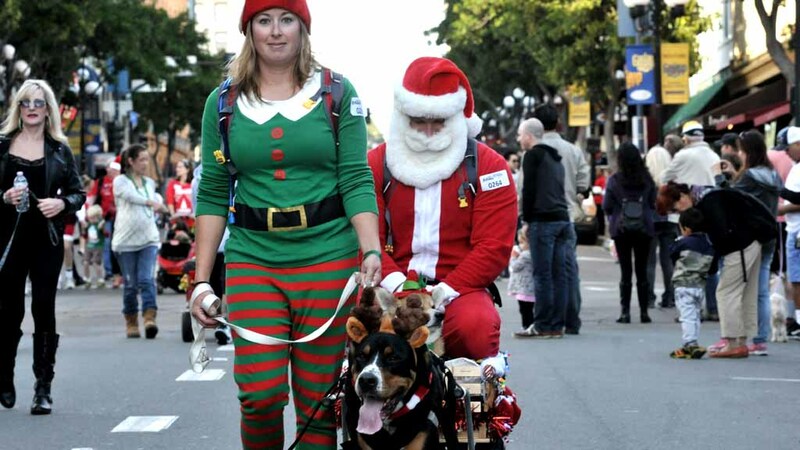 An elf, Santa and his trusty “reindeer” entertain the spectators. 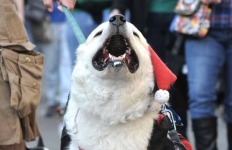 One canine spectator barks at passing dog participates. 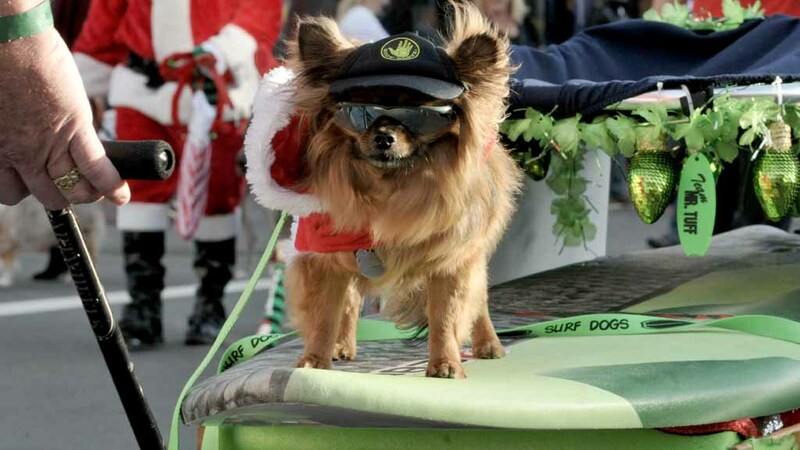 In San Diego there is, of course, a surfing dog. 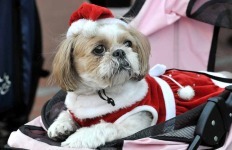 A young Shih Tzu gets settled in to watch the pet parade. 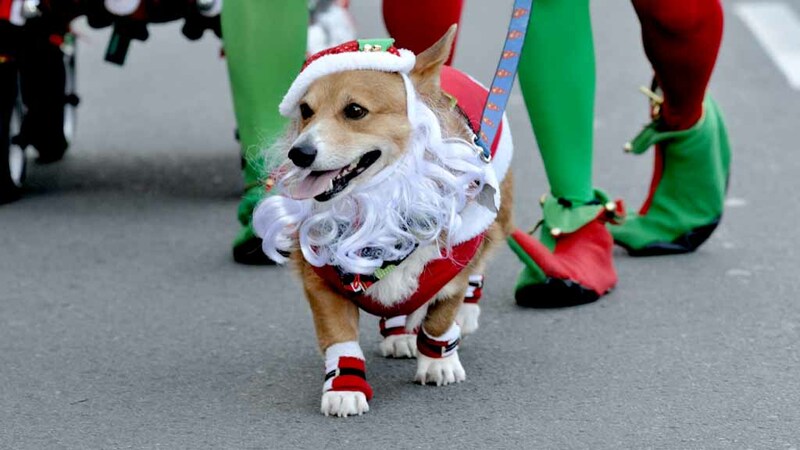 Doggy Santa takes a walk with his elf owners. 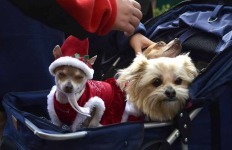 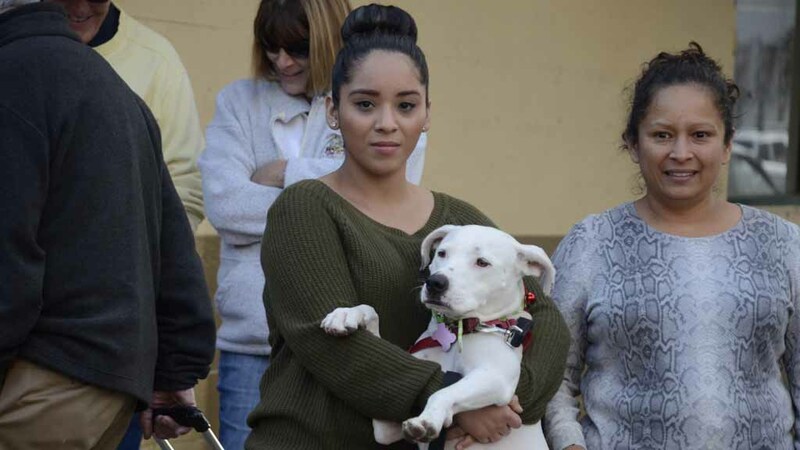 Dog and human spectators enjoyed the array of pets with their holiday costumes.